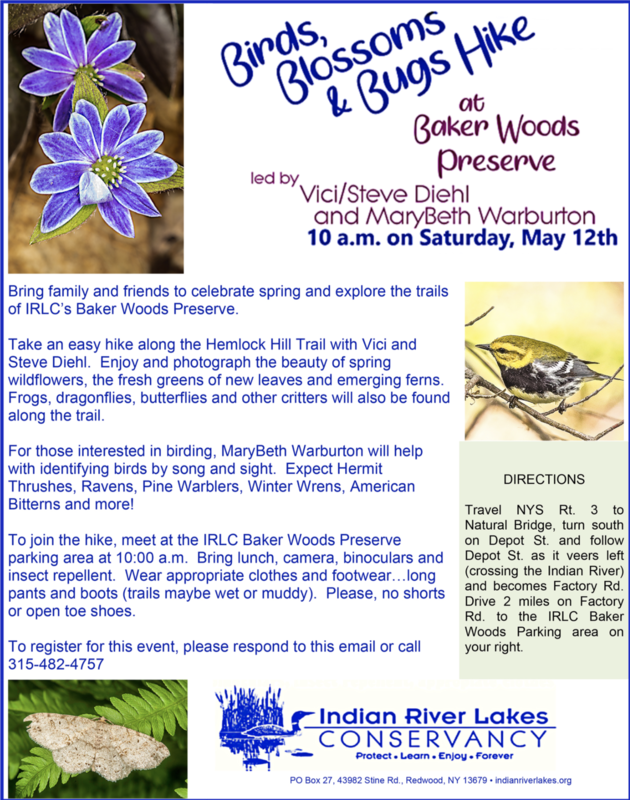 10:00 am Enjoy the beauty and curiosities of spring with a hike led by Vici Diehl and MaryBeth Warburton at Baker Woods Preserve. 8:00 am Start your summer with a morning hike at Redwood Hill Preserve. 6 – 9 pm A Pollinator Pathway is a series of gardens containing native pollinator friendly plant species. 6 – 8 pm Ft. Drum Ornithologist, Jeff Bolsinger, discusses Golden-winged Warblers. 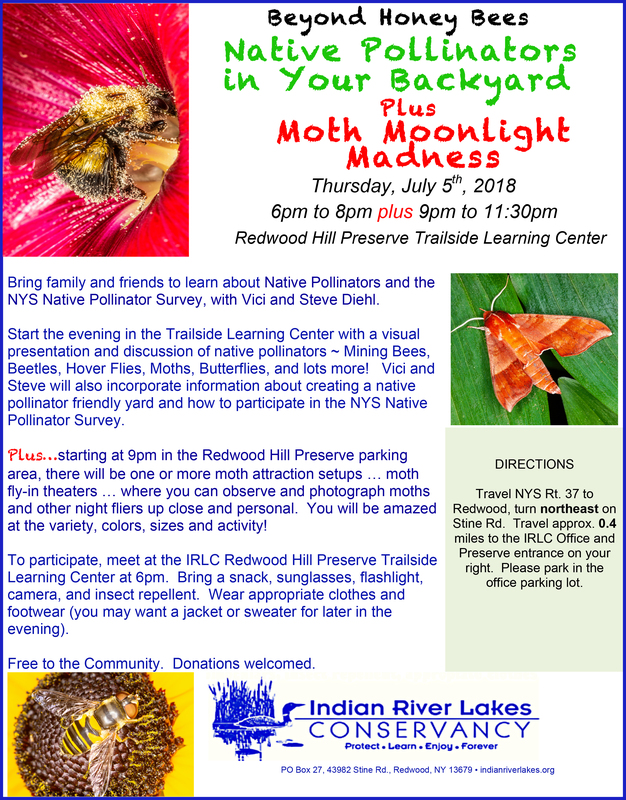 6:30 – 8:30 pm Dr. Laurie Rush discusses the relationship between Native Americans and the natural environment. 6 – 9 pm Cornell University Ornithologist, Scott Sutcliffe and Dr. Nina Scoch from the Adirondack Center for Loon Conservation discuss loons. 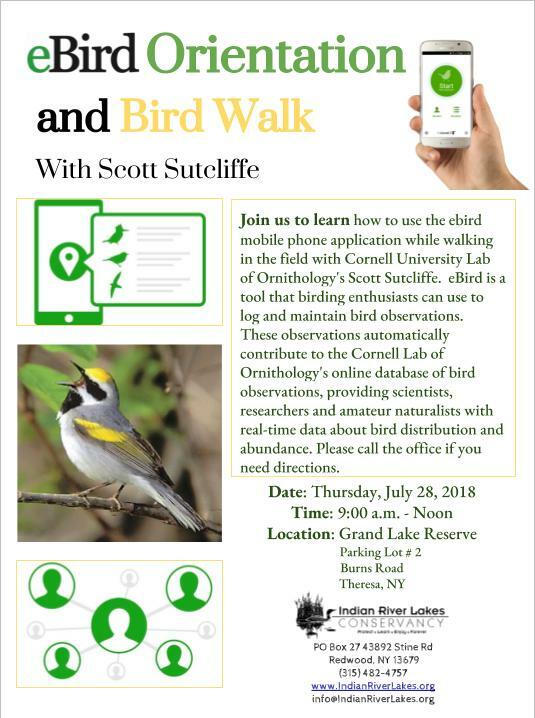 9 am – 12 pm A family-friendly learning experience about the ebird mobile phone app with Cornell University Lab of Ornithology’s Scott Sutcliffe.